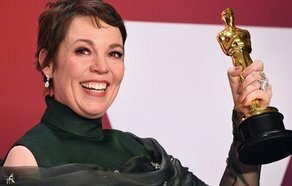 Element Pictures’ leading lady Olivia Colman picked up the Best Actress award for her portrayal of Queen Anne in Yorgos Lanthimos’ period drama at the 91st Academy Awards on Sunday night. This was the only award for the Irish co-production, which was nominated for 10 awards. ‘Bohemian Rhapsody’ picked up four awards; the most individual awards of any production with Rami Malek presented the Best Actor accolade for his portrayal of Freddie Mercury in the Queen biopic. Peter Farrelly’s ‘Green Book’ picked up three awards including Best Picture, Best Original Screenplay and Best Supporting Actor for Mahershala Ali; the second of his career. Alfonso Cuaron and his Netflix produced Mexican drama, ‘Roma’ were also big winners on the night with Cuaron picking up Best Director and pitting Irishman Robbie Ryan to Best Cinematography, while the film received the award for Best Foreign Language Film. Louise Bagnall and Nuria Gonzalez Blanco’s ‘Late Afternoon’ was nominated for the Best Animated Short award, which was picked up by Domee Shi’s ‘Bao’. The film, which is produced by Cartoon Saloon picked up the IFTA for Best Short Animation at the IFTA Film & Drama Awards in 2018. Vincent Lambe and Darren Mahon’s Irish short film ‘Detainment’ was also nominated on the night in the Best Live Action Short category. The controversial film, which follows the story of two ten-year-old boys being detained by police under suspicion of abducting and murdering a toddler, missed out to Guy Nattiv’s ‘Skin’.